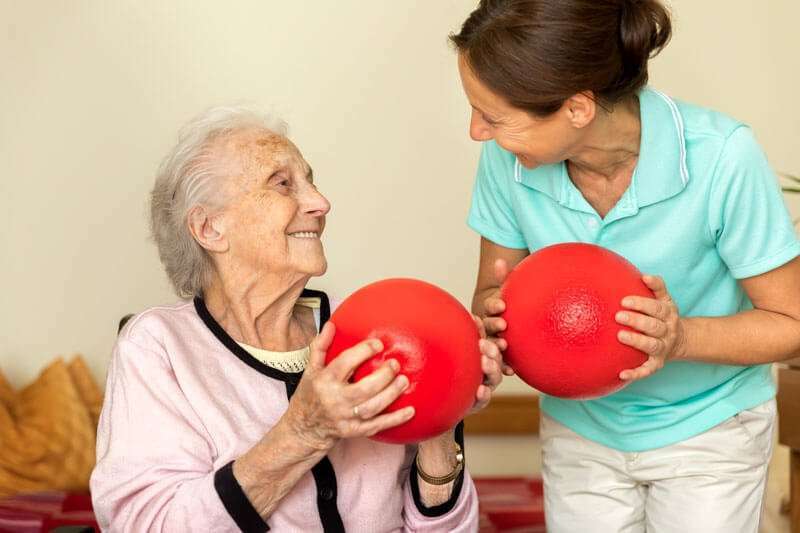 Learn the top benefits of occupational therapy from Harmony Home Health & Hospice. For many older adults, performing everyday activities that once required very little thought can become challenging, whether the result of a surgical procedure, fall or other type of injury, or cognitive decline. Occupational therapy is often the perfect solution to enable seniors to recover as much independent function in everyday life as possible – and when offered in the home environment, such as through the occupational therapy team provided by Harmony Home Health & Hospice, these services are even more comfortable, convenient and effective. Fall prevention: Falls in the home are both common and extremely dangerous for seniors. An in-home occupational therapist will assess the home for fall hazards and recommend modifications to make the home safer. This is crucial, both to prevent future falls and to relieve the anxiety that many seniors experience after a fall, which often leads to a decline in activity and an increased risk for a subsequent fall. Adaptive equipment recommendations: There are a variety of assistive devices that boost independence, and an occupational therapist is skilled in determining the types of equipment that would be most beneficial in individual situations. For instance, aids are available to make self-dressing easier, reaching tools can help those with limited mobility, grab bars and handrails allow for safer mobility, and technology is booming with creative approaches to making everyday life more manageable for a variety of needs. Improvement of overall health and wellbeing: An in-home occupational therapist, such as those provided by Harmony Home Health & Hospice, looks at the full picture when determining how to best help an individual maximize quality of life. The therapist will learn what’s important to the person – such as being able to prepare meals independently, to manage personal care tasks such as bathing and dressing, or to enhance low vision – and create a customized therapy plan that will enable the person to reach those goals. Whether recovering from a stroke or fall, undergoing changes in cognitive functioning or mobility, or simply seeking more efficient ways to accomplish everyday tasks at home, an occupational therapist from Harmony Home Health & Hospice can serve as an invaluable resource to improve life and safety at home for older adults. To learn more about how occupational therapy can help with the particular challenges your senior loved one is facing, call on the professional care team at Harmony Home Health & Hospice. We can provide a free in-home assessment to address your concerns and pave the way to a higher quality of life. Contact us through our simple online form or by calling 877-I-NEED-CARE (877-463-3322) to learn more about how we provide the kind of services in home health Albuquerque families trust the most.